You Are Here: Home → News → Is the digitalisation of employee benefits the new black? New research finds that the vast majority (94 per cent) of benefits leaders acknowledge that their organisation needs to better use benefits as a strategic lever to improve employee retention, and digital is regarded as key to this; 92 per cent state that digitisation within benefits is crucial to building staff loyalty and driving better retention. Interestingly, benefits provision is no longer viewed as only helping to engage existing staff; 93per cent of practitioners believe that benefits should also be deployed as a strategic lever to attract new talent. Businesses are looking to improve engagement with benefits by delivering an enhanced employee experience, and they are putting their faith in emerging technologies in order to do this. Eighty-five per cent of benefits leaders predict that AI and machine learning will deliver improved employee engagement; 78 per cent feel that IoT and wearable technology will have a positive impact; and 70 per cent believe that virtual reality will drive engagement levels. Perhaps worryingly the research reveals that only half (51per cent) of organisations are currently tracking and measuring employee engagement with benefits and 45 per cent of benefits leaders admit to taking an ad hoc approach when it comes to considering user journey in their decision-making around benefits. Digital has the potential to deliver a faster, more seamless and personalised experience in benefits which gives employees a greater sense of control and choice and the opportunity to take a more proactive approach. But organisations need to take a strategic approach to digital adoption, rather than pursuing siloed, one-off implementations which invariably lead to failure and frustration. Digital should never be an end in itself, it is simply a means to enhance the employee experience. Benefits leaders need to ensure they have the skills and partners in place to get things right first time and ensure new technology integrates with, and supports, the organisation’s overall digital transformation vision. 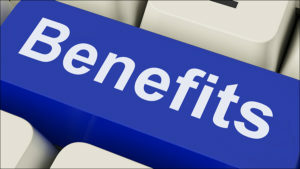 Ninety-seven per cent of benefits leaders say they are already facing or anticipate challenges in digitising the provision of benefits. Thirty-eight per cent report that integration issues and a lack of interoperability between systems is a challenge, and the same percentage say that finding suitable technology partners is difficult. Instead of just approaching benefits as a tick-box exercise, forward thinking organisations are actively looking to maximise the value they get from their efforts and investments, in terms of improved employee engagement, wellbeing, retention and performance. They’re making benefits a major weapon in overcoming the skills shortages that have become such a barrier to growth in many industries. Interested in employee rewards and experience? We recommend the Reward Strategies to Deliver Business Objectives training day.